Good Night Bedtime highlights reading stories, putting on pajamas, taking a bath, brushing teeth and hair, feeding pets, putting toys away, stuffed animals and blankies, wishing upon a star, singing lullabies, sweet dreams, coloring, counting sheep, talking about the day, nightlights, getting tucked in, hugs and kisses, and more. 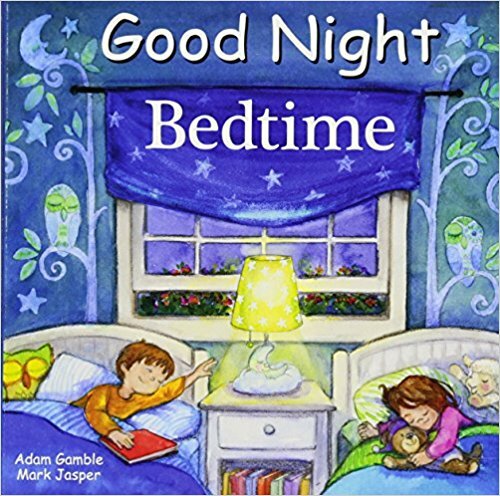 This charming board book puts little ones to bed in a soothing and loving way. 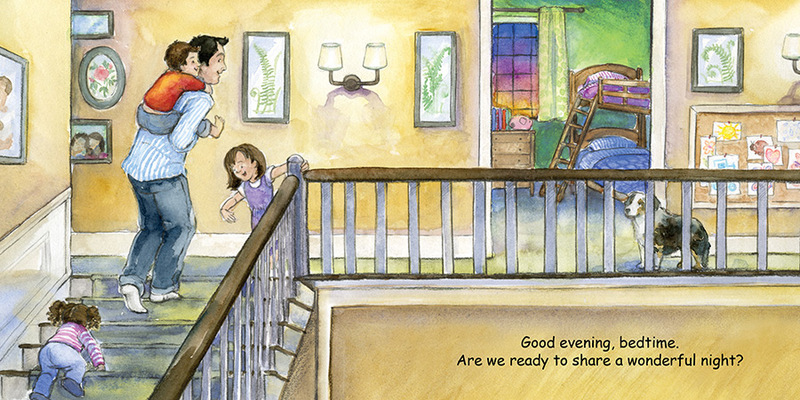 Children will recognize all their favorite bedtime rituals and may even learn a few new ones. Shhh, it�s bedtime!